This entry was posted in 1 - Hosting Self, 3 - Host conversations - contribute, Four Fold Practice, Leadership, Spiritual journey and tagged Art of Hosting, engaging conversation, Growing Hosting Artistry, host self, Jerry Nagel, Juanita Brown, presence, stewards, the art of war by Kathy Jourdain. Bookmark the permalink. Now let’s see if I can act on it! Yes, Grady, that phrase also resonated deeply with me and was a good point of discernment in whether to engage or just leave be. And when engaging, to offer from that place, and from the place of compassion and generosity – for myself and for the other too. Good luck with your conversation(s). For me, one of the wildest principles I ´ve learned from Art ot Hosting is “silence is part of the conversation”. The conversations that matter are already in the field. Didn´t every soul has decided to engage in the game of life for grow and learning? Is´nt grow and learn the very purpose of every living being? Is there something we do (or don´t) that does not serve to this original purpose? Many of the complex questions of our times has a lot to do with old hurt and pain, and the possibility to overcome it through love, compassion and forgiveness is also already “in the field”. So, the field contains itself a certain frequency, you and I are attracted to it; what defines if the conversation will assume material form (words) and what direction will it take maybe has to do with how we express and react to each other personalities , but the “invitation” for the conversation is already there. Even the process of choosing to engage in a verbal conversation or not is already a conversation, isn´t? Or, if we engage in a conversation and I am ” wanting only an opportunity to express myrself, my frustration or my hurt”, it doesn´t make of me your enemy. It does means you must be much more aware whem talking to me. Wouldn´t be possible to understand it as a great opportunity for mutual growing and learning? Would´nt be a great conversation if youI could still hold your presence, host my being and honor the field, in silence? And if I were inspired by this quality of presence of yours, how far could we go? Brazilian kisses, my beautiful friend!! Darlene, I love the reminder that silence is part of the conversation. And I love what you have written here and I realize that not every challenge is mine to take on. 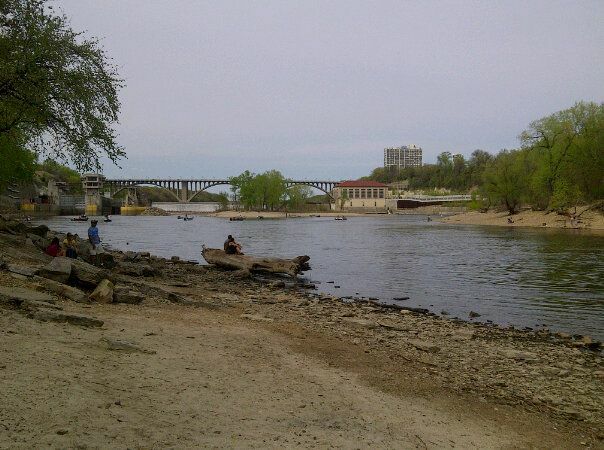 Sometimes the learning and growth may be in letting some things be – in “sitting by the river”. I like the idea of taking the time to think about what part of me the feedback is coming from.